Without a doubt, Singapore is a foodie paradise. You can sample a rich variety of Chinese, Malay and Indian cuisines from different regions of Asia. If in this case you want to eat Chinese cuisines, the best choice is to go to Chinatown. Here, you can find many Chinese cuisines originating from Guangzhou, Fujian, Hainan and Chaozhou in China. Ah Boling – Ah Boling is also called drenched duck. Rice balls are filled with red bean, sesame, yam or peanut paste and served in sweet peanut or ginger soup. Bak Kwa – Bak Kwa is characterized by fine slices of meat barbequed with a sweet sauce to succulent perfection. It’s a favourite during Chinese New Year but it can be enjoyed any time. The Bak Kwa of Kim Chee Guan and Bee Cheng Hiang are considered to be the best. Fried Carrot Cake – Fried Carrot Cake is a delectable carrot/radish cake friend with egg and chives. You can choose from the ‘white’ or ‘black’ versions. Dim Sum – Originating from Hong Kong, these savoury snacks are mostly steamed and are often served in little bamboo steamers. This can be a snack or a meal. Egg Tart – Egg tart is famous for its flaky crust and rich soft egg custard filling. You can try egg tarts prepared by Tong Heng and Leung Sang Hong Kong Pastries. Ginger Milk Custard – Ginger Milk Custard is a hot steamed custard of milk blended with ginger juice. Fried Kway Teow – Fried Kway Teow is a flat rice noodles fried with sweet soya sauce, sliced Chinese sausage, cocles and scrambled egg. If you are craving for others, you can consider Hainanese Chicken Rice, Laksa, Mooncake, Porridge, Wan Ton Mee and many more. You should enjoy every experience. 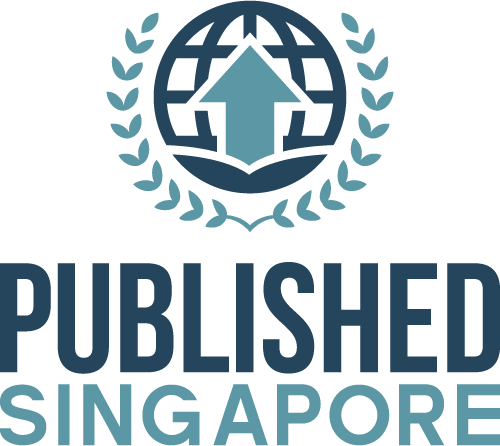 If your visitors ask you what best captures Singapore, you can say “unique”. Singapore is unique because of its rich contrast and colour. You should be proud of Singapore’s harmonious blend of culture, cuisine, arts and architecture. The island state boasts of exciting events every month with unbridled energy bursting. Of course, you have to do your best to promote Singapore so your visitors feel welcome and they will consider going back here. 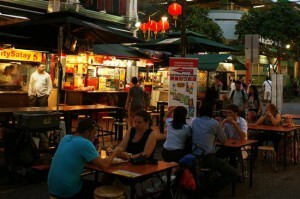 Your visitors will surely enjoy the street market. The long stretch of Pagoda street, Trengganu street and Sago lane boasts of booths and stores selling many things like trinkets, T-shirts, silk, souvenits, paintings and many more. The stalls are open from 11:00 am to 11:00pm every day. 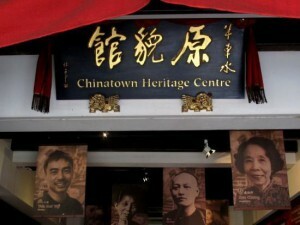 It wouldn’t hurt if you want to share the history of Chinatown to your visitors. The Heritage Centre on Pagoda Street can tell a lot from the pioneers to the modern Chinese. You will see many things here from multi-media displays, vintage items and other things. 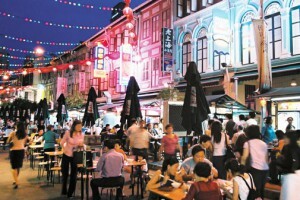 If you bring your visitors to Smith Street and Trengganu street, they will see street food stalls. 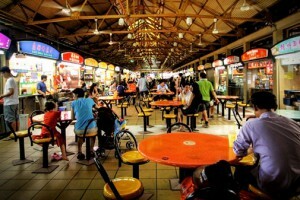 Maxwell is a also notable for its food centres. You can get Hainanese chicken rice here and other authentic local cuisines. If your visitors mention going to temples or religious sites, you should consider Masjid Jamae Mosque, Sri Mariamman Temple and Buddha Tooth Relic Temple. 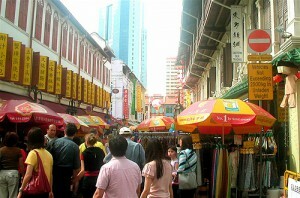 Going to Chinatown can give your visitors a clear picture of how the pioneers spent their lives. Liposuction is the instant solution when you like to lose weight without exerting too much effort. Many people consider this but you should know that last Friday, July 5, 2013, a woman died because of liposuction here in Singapore. Liposuction gets rid of fat from the body by using suction. There are two techniques that you can consider- ultrasound and tumescent. Both are safe and less painful. If you want to get rid of large amount of fat, general anaesthesia may be needed. But if it is a minor one, you don’t need to spend a night in the clinic or hospital. In a few weeks, you will feel thinner. It can boost your self confidence and self worth. Liposuction is usually safe but you should know common side effects. You will experience temporary soreness or numbness. Irritation and scarring is a possible. For some people, they experience sagging of the skin. You should know that liposuction is fatal if you encounter excessive blood or fluid loss, infection and pulmonary edema. If you still want to pursue liposuction, you should look for a clinic that offers the best liposuction service. Make sure that the clinic is licensed. If you are afraid of the possible complications, it is better to lose weight the natural way. Losing weight the natural way is recommended though it is time consuming and effortful. We all want to be beautiful but sometimes, too much of something is bad. Last Friday, July 5, 2013, a 44 year old woman was reported dead here in Singapore because of liposuction. The woman simply wanted a slim figure but that cost her life. They say liposuction is a safe procedure especially with the medical updates and innovation. There are few complications and risks recorded. However, we should be aware that no procedure is perfect. Minor complications are common but it can easily be fixed. What are the complications involved? You can experience temporary soreness and numbness around the treated areas. You can also encounter swelling and bruising. Scarring can happen if there are irritations around the incision. The skin should tighten in a few months but for others, it remains loose. Blood loss or fluid loss is highly unlikely but it doesn’t mean it won’t happen. This is life threatening. Pulmonary Edema is characterized by the accumulation of fluids in the lungs. This is because of the large volume of fluid infused in the body. There are times that infection happens. When this happens, antibiotic should be taken. Failure to take antibiotics will cause serious implications. So before you consider liposuction, you have to make sure that you are ready for it. If you want to reduce the chances of complications and risks, it is better not to consider it at all. You can still lose weight the natural way. You should consider regular exercise and eating right. Of course, losing weight the natural way is tiring but that is just part of the whole thing. There are times that you feel so tired and weak. That is quite understandable especially if you are the workaholic type. If you ask other people, you deserve a break to recharge or renew your spirit. Don’t worry because there are many places that you can go to. If in this case you simply want to leave the urban setting for a short period of time, there are numerous islands that will surely welcome you. If you want to enjoy this island, forget about its past. The island will offer you with numerous recreational activities. In here, you will see many corals, lagoons and if you are fortunate, you can see dolphins. You can have a picnic here, camping, getting tanned and snorkel. If you like you can avail of guided walks carried out by Tropical Marine Science Institute. If you worry about the transportation, you can charter a boat to get here. 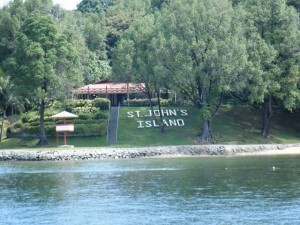 There is a ferry from Marina South Pier to the island every day. The admission is free but if you choose to rent a bungalow and camp out, admission charges apply. For more information, you can call them at (+65) 6534-9339. 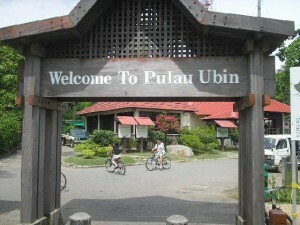 Pulau Ubin is the last “Kampong” village here in Singapore. By visiting Pulau Ubin, you now have a picture of how it was living in the 60s. You will surely appreciate the laidback life. If you want to explore the island, you can choose to hire a van or a bike. If you prefer strolling, you can do so. The main attraction is the Chek Jawa and the Celestial Resort. The island is open from 8:30am to 6pm daily. You don’t need to pay anything except for the Bumboat ride which costs S$2.50/person. For more information, you can call them at (+65) 6542-4108. Pulau Semakau is the perfect place to conduct activities like bird watching, star gazing, swimming, fishing, cycling and trekking. The island is proud of its thriving plants and animals. 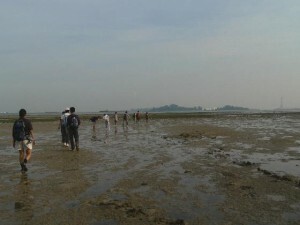 You can see Mangroves and coral reef formations too. If you want to get to the island, you should head to West Coast Pier or Pasir Panjang Ferry Terminal. Visiting the island is possible if you join activities carried out by groups like the Nature Society, Sport Fishing Association and many more. There have been concerns regarding the increasing mass of wastes disposed every day. Many countries are studying and implementing waste management so they can handle all the wastes without incurring more damage to the earth. For instance in Singapore, they have this National Recycling Program that promotes waste minimization and recycling in different areas- home, condominiums, apartment, schools and other industrial estates. There are issued recycling bags to all residents. Residents should remember the schedule for collection. The PWC collects the recycling bags between 7:30am-7:00pm every day. Residents can just leave the recycling bags at their doorstep before 7:30am. To encourage recycling all the time, there are recycling bins installed in common areas. Every HBD block is provided with recycling bins. Condominium or apartment management are required to provide recycling containers within their estates and send their recyclables for recycling. There is a guidebook for this area that can help with the implementation. Recycling program in the schools seek to educate students of the importance of recycling. Students are given booklets and posters so they will know what to do. But generally, the school administration set up recycling corners in the school with recycling bins for paper, plastic bottles and cans. There is a guidebook that talks about recycling in industrial estates in detail. 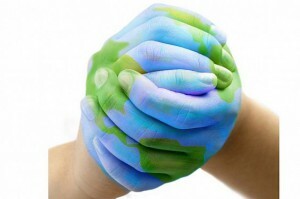 Companies are also encouraged to minimize waste through recycling. The centre includes a 276-seater OMNIMAX theatre. The theatre is called Singapore Omni-Theatre. You will see an indoor and outdoor exhibition spaces and the Snow City. Snow City (with -5 degrees Celsius temperature) was placed beside the Omni-theatre. Aside from that, the Science Centre established an observatory which is located next to the Equator. The observatory accommodates astronomy lessons and public talks. The observatory is proud of its state-of-the-art facilities like the telescope. If you consider star-gazing, the observatory is open to the public for sessions. Just keep in mind that star-gazing sessions are every Friday from 7.50pm to 10pm. 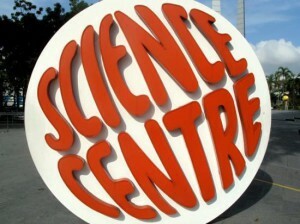 Science Centre is located at 15 Science Centre Road. You can take a car, bus or MRT. If in this case you want to ride the bus, look for buses 66, 178 and 335. If you want to ride the MRT, stop at the nearest station. The nearest station is Jurong East Station. You can then walk to the Science Centre or simply wait for the buses. For Megabugs blockbuster exhibition packages, adults will pay $16 to $28. Children will pay $13 to $20 and the family package will cost you $52 to $62. For Science Centre and Omni-Theatre, adults will pay $12 to $10. Children will pay $7 to $8 and senior citizens will pay $6 to $8. For Science Centre, Snow City and Omni-Theatre packages, adults will pay $18 to $26 while children will pay $16 to $20. 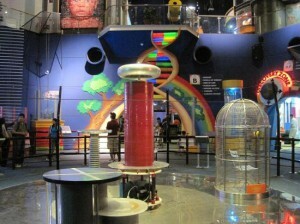 The Science Centre Singapore and Omni-Theatre opens daily from 10am to 6pm. The Snow City is open from 10am to 6pm daily but if it is school and public holidays, they open from 10am to 7pm.